Representatives from more than 20 countries and international organizations met today for more than six hours at the White House and discussed the deteriorating humanitarian crisis in Gaza. The participants included Israel and six Arab countries, the majority of which have no diplomatic relations with Israel. Senior U.S. officials said all the participants agreed that the humanitarian and economic crisis in Gaza requires immediate action from the international community. They added that, "fixing Gaza is critical for any future peace deal between Israel and the Palestinians". Israel was represented at the meeting by General Yoav (Polly) Mordechai – the most senior Israeli officer in charge of civilian and economic issues in the West Bank and Gaza. Saudi Arabia, UAE, Qatar, Bahrain, Oman, Egypt and Jordan also took part. It's very rare for Israeli and Arab officials to gather around the same table. Creating closer relations between Israel and the Arab world has been a primary goal of the Trump administration over the last year. The White House wants the Arab world to be a part of its efforts to promote a peace deal between Israel and the Palestinians. "It was refreshing to see the Arab and Israeli representatives at the same table. It was a good sign as we remain hard at work putting the finishing touches on our peace plan. We encouraged all parties to leave politics at the door and talk about the humanitarian situation in Gaza and they did it". "We were pleased that today's White House conference on Gaza was productive and we were encouraged to see many of our neighbors in attendance. We hope that their participation will lead to progress towards greater regional stability and peace with the Palestinians. We extend our sincere thanks to Jared Kushner and Jason Greenblatt for organizing and hosting this important event". The Palestinian Authority was also invited by the White House but turned down the invitation due to President Trump's December 6th Jerusalem announcement. Other countries that did participate: The U.K, France, Germany, Italy, Canada, Japan, Switzerland, Norway, Cyprus, the Netherlands and Sweden. Jared Kushner, who was at the conference all day, presented for two hours on U.S. ideas for projects in Gaza. The senior U.S. officials said the projects were short term — either ready to be implemented right away or responding to an immediate need. 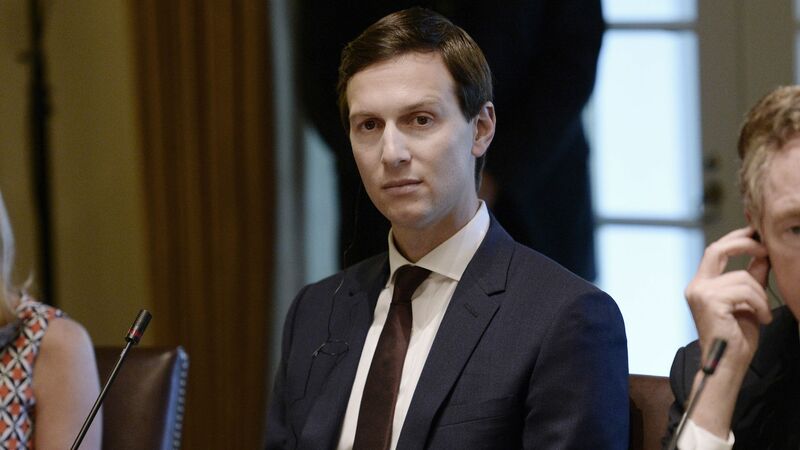 Kushner also presented medium and long term projects for Gaza. The projects were in the fields of health, sewage, electricity and water. The Trump peace plan was not discussed during the meeting. U.S. special envoy Jason Greenblatt told participants that the plan is still being drafted and will be presented when ready. A senior U.S. official said the administration's goal is "to alleviate the suffering of the people in Gaza". The official added that now the challenge will be to raise money for the projects at the meeting of donor countries to the Palestinians in Brussels at the end of March. The official said the U.S. wants to change the current situation where each country promotes its own projects in Gaza and start working in a coordinated international effort with a big group of countries. The U.S. officials said they regret the fact that the Palestinian authority chose not to participate. The official stressed the U.S. has no intention of bypassing the Palestinian Authority on this issue. The official added: "We want to keep Israel's and Egypt's security and not empower Hamas. We hope the Palestinian Authority will remain a partner in this effort. We want them as a partner and we want them back in full control of Gaza."